Indian telecom customers can change their network provider at any time without giving up their existing phone number. This is possible thanks to a mobile number portability (MNP) service. Continue reading if you would like to find out how to transfer your existing number to Airtel 4G. To begin the phone number portability service process, visit the Airtel MNP page and fill in all of the required information. Initially, you will get a call from an Airtel customer care executive during which you will be asked to confirm basic details like your name, address, and phone number. You will also be able to choose your monthly plan, at which point you can request a customized plan based on your monthly data consumption. At the end of this call, the customer care executive will let you know which documents you will need for the next step. Within a few hours, Airtel will send an executive to your address to manually collect the required documents and drop off the Airtel SIM card and welcome kit. You will receive a verification call within 24 hours of the document collection. The verification call is made to crosscheck the information that you provided. They will also ensure that you have cleared all the outstanding dues with your previous service provider. Once your old SIM card stops working, you can insert the new SIM card provided by Airtel 4G and start using it. It will be connected to your old phone number but be powered by the Airtel service. Published by Ratnendra Ashok. Latest update on March 28, 2019 at 05:54 PM by Olivia Long. 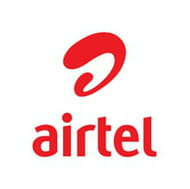 This document, titled "How To Port or Transfer Your Phone Number to Airtel 4G ," is available under the Creative Commons license. Any copy, reuse, or modification of the content should be sufficiently credited to CCM (https://ccm.net/).